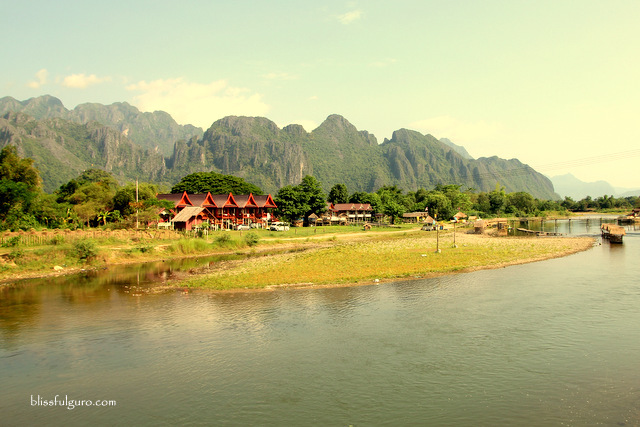 I don’t usually play favorites but Vang Vieng left some nice imprints on my travel memory bank. No, we didn’t get to try kayaking or tubing. Not even a chill time on one of the restaurants all over town that feature Friends series all day. But just waking up every morning with a breathtaking view was truly rewarding. Spending a week in a very relaxed town made us melancholic in a very good way. The FRIENDS series all day, every day, everywhere. Mornings were usually spent just lazing around our little nook on a villa settled on top of a rice field. 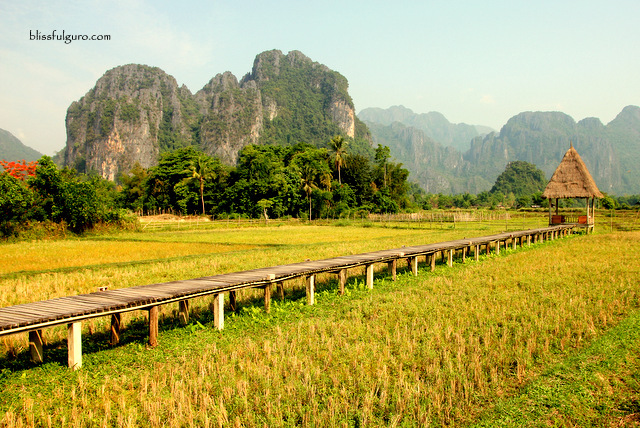 Yes, but spending a little more than we should on this luxurious space from our villa at Vieng Tara Villa was worth it. The highlight of which was the great view we’re waking up to every morning. 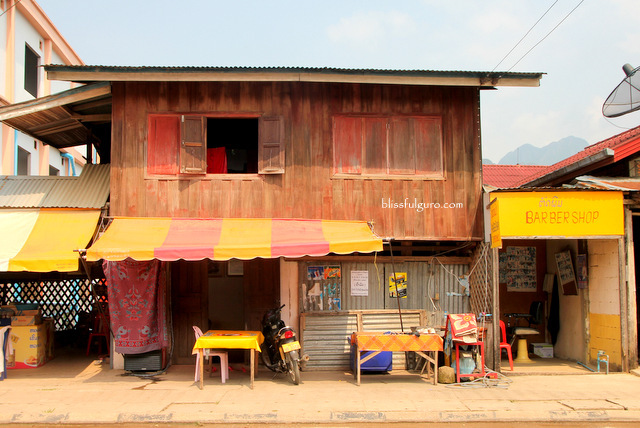 My caffeine fix doubled or tripled every time as I wanted to linger on every precious moment (check here for discounted tours, transportation and activities in Luang Prabang). 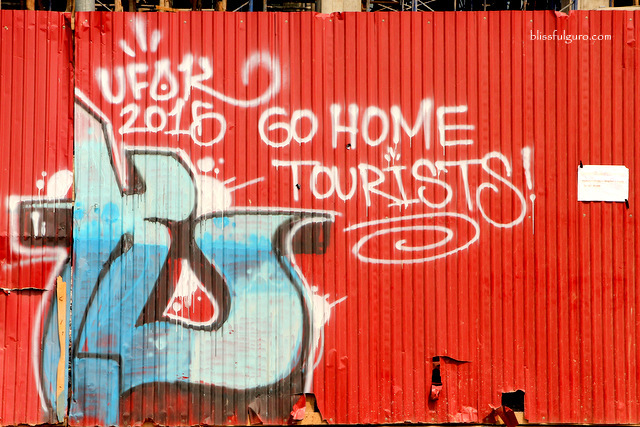 It was mid-May and the town was filled with tourists that were aching for adventure and some leisure. I couldn’t blame them for it was the perfect place to do just about nothing. I could finish a book without complaining where my day went and such. 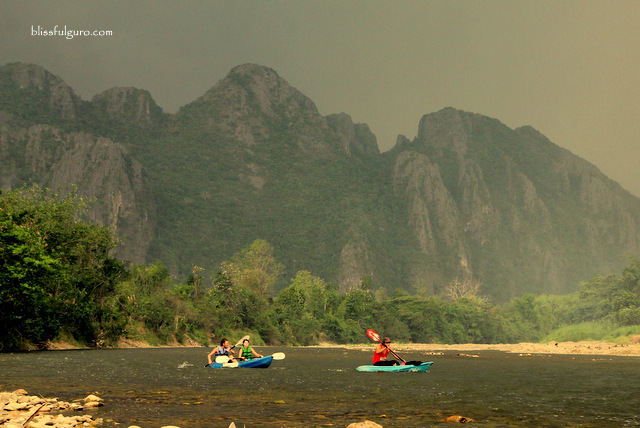 Brunch would be our first meal of the day, still, enjoying the limestone karst mountain range that circled the town while the Nam Song River streamed quietly on the other side. We didn’t have a concrete plan and the numbing effect of the town was creeping into us like a serious disease but in a positive way. A typical day was usually spent just lounging on our bed and our private balcony just lazing around. There’s this day when we suddenly wanted to go out and see what’s inside those limestone mountains so we spent almost a day a demanding 14-kilometer two-way walk just to reach a certain famous lagoon and cave. 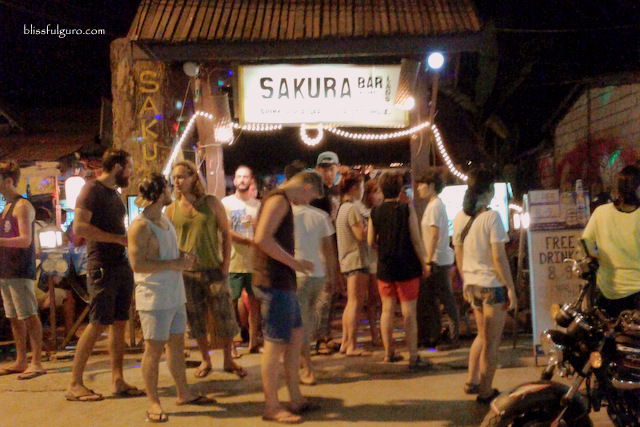 Night-outs start when Sakura Bar opens its doors for party hungry patrons. They offer free drinks for one hour starting from eight in the evening; we were there every single night. We consumed so much alcohol for an hour and chat with backpackers who were insisting us to try out tubing; we’d tell them that we’d do that the next day. But no, we didn’t get to do it. 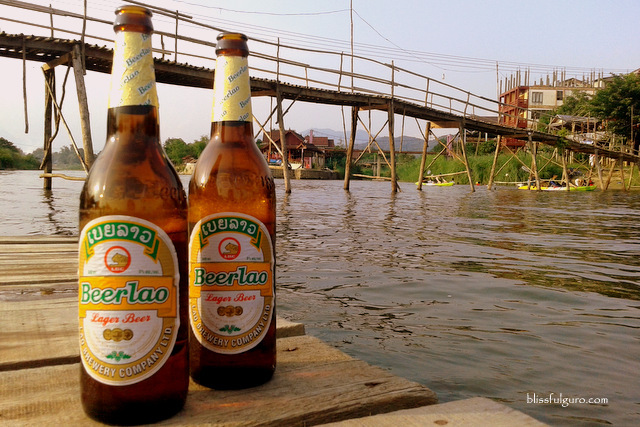 Walking along the riverbanks led us to what seemed to be a dead end where we chilled with some Beer Lao while spotting some smashed tubers on their way to the last bar stop. Tubing is soo famous here that even if It’s dry season, people would flock on some shops to rent a tube for a day and get drunk on stopovers on the way. 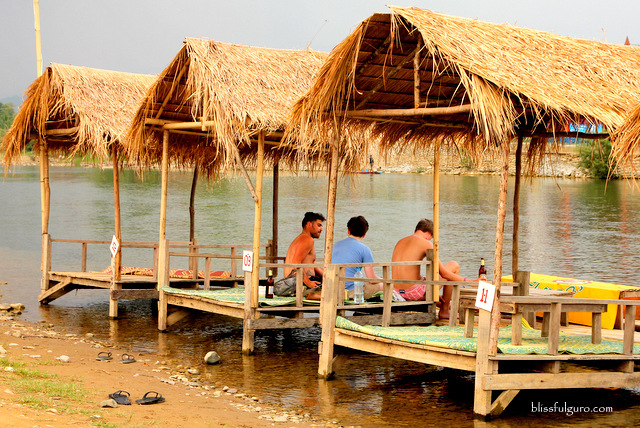 Native cabanas lined the banks where they sell cheap Beer Lao at 10,000 Kip (US$ 1.62) per bottle. 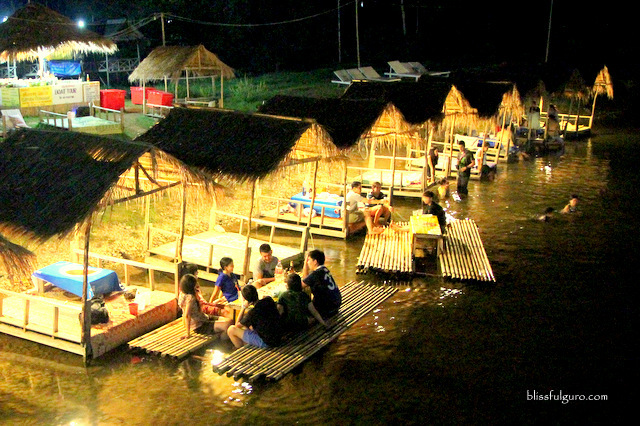 Me and my buddy usually just sit on a bamboo raft and people-watched, swim a bit, get boozed up, sing, laugh, chat with some familiar faces and do whatever we want to. 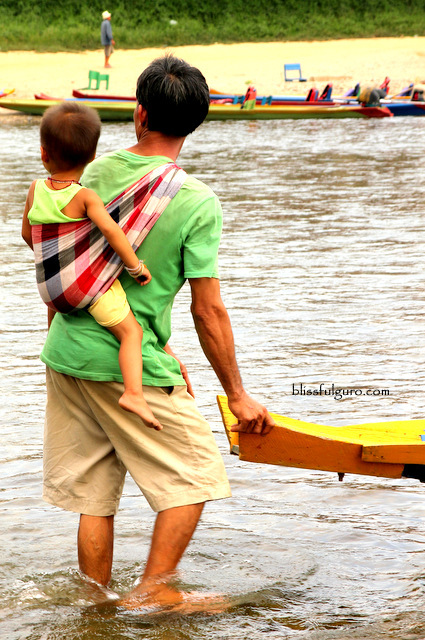 It was at that exact moment when I realized how privileged I was to have experienced going around Southeast Asia and making new friends and experiences along the way. 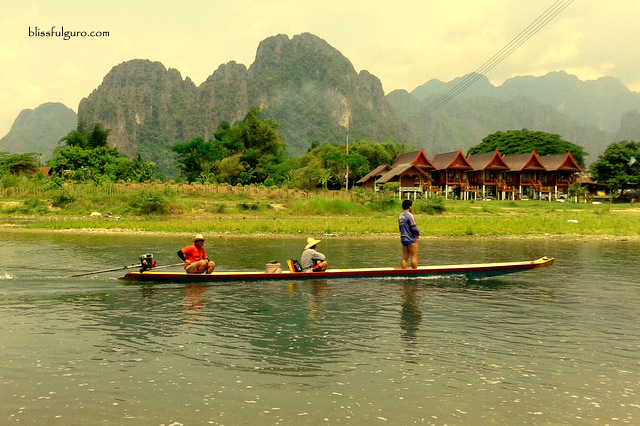 I learned that you need not to ride on to those expensive hot air balloons to truly appreciate Vang Vieng. 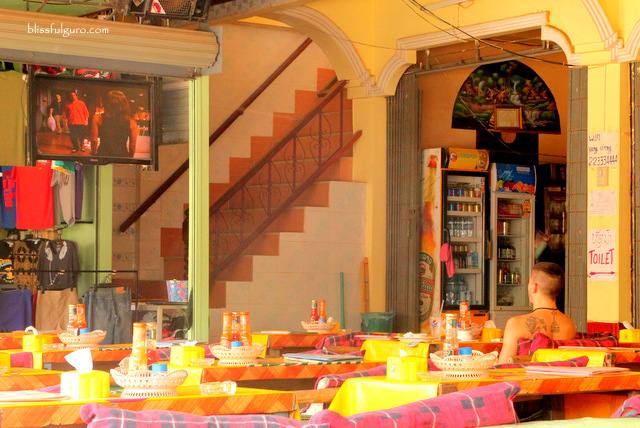 It was the locals who let us haggle for a beer because we only had spare change. Or that chat with a 60-year old man who’d been to Laos during the 80’s with his unending stories about the changes all throughout the years. 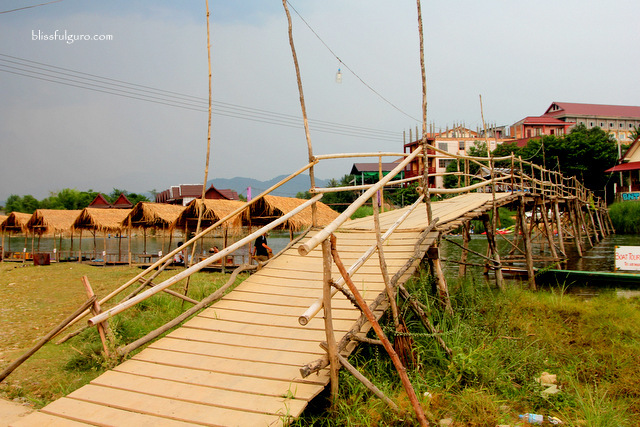 It was that struggle to cross the river just for the heck of it. 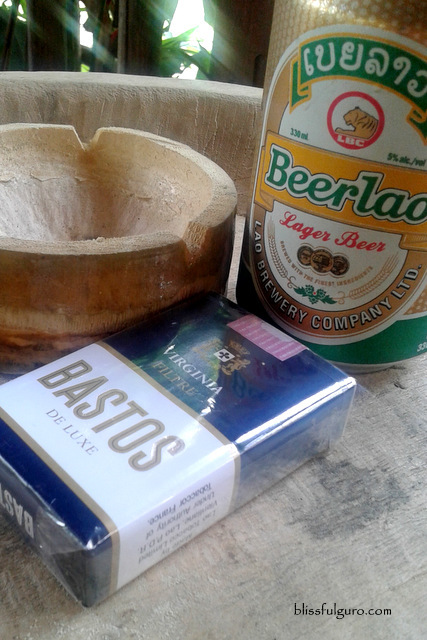 And the arduous, mind-blowing and crazy thought of walking 14 kilometers en route to a cave just to save a few bucks for that beer sesh later. And that feeling of waking up every morning feeling great that you’re still kicking and alive to experience all the goodness that life has to offer. It’s as if we had the license to do whatever we want to do. Like no one’s gonna care if you sing out loud in the most strange occasions. And yes. 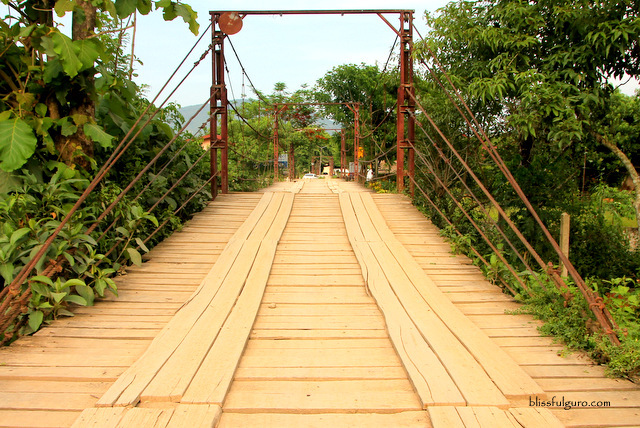 Maybe it was the experience I had that made me long for Vang Vieng more. It was that feeling of acceptance to be whoever you wanna be no matter what. 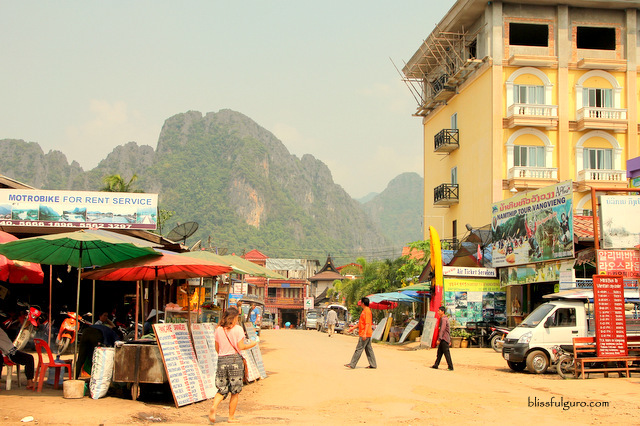 It was a bittersweet morning as I woke up on our last day in Vang Vieng. We went to a travel agency to book a bus going to Vientiane and a transfer to a sleeper bus to Pakse for 180,000 Kip each (US$ 22.30). It was going to be a long trip and I was excited to carry on with the last few weeks of our two-month backpacking trip around Southeast Asia. My stuff were all scattered around our room, waiting to be collected. But I ain’t moving. I wanna linger the last few hours I have on this sedated part of the world. Almost dreamlike. Simple yet outstanding. 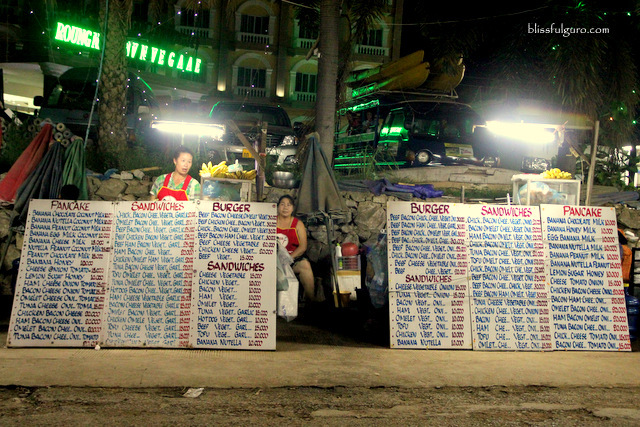 Hi there, could you still remember which travel agency you purchased your bus tickets from? Or if there's a specific company for it? I have been reading up many articles on the nightmarish experiences on the sleeper buses... and they are nightmarish, indeed.